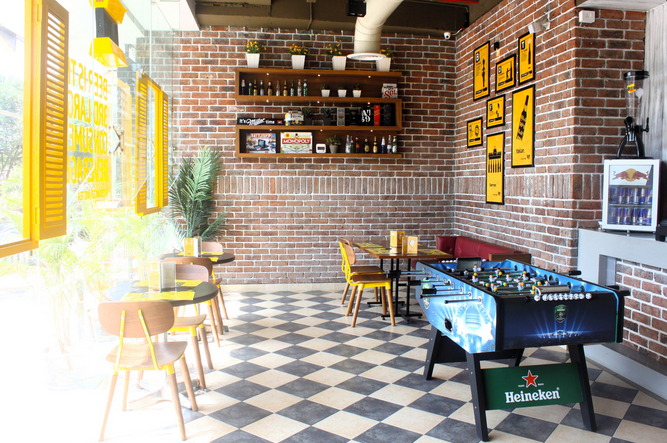 Its raining October fests all around the city and what else do you want when its hosted at the only café in India with a range of 50 different varieties of beer from 17 countries! Thanks to the Oktobrew fest, Beer lovers can enjoy the Bavarian life with the largest collection of German beers, music and food at The Beer Café. It’s an entertaining month with great offers on buckets and steins of authentic German beers along with some delicious specials on the food menu. We started with a newly introduced brand called Bira. 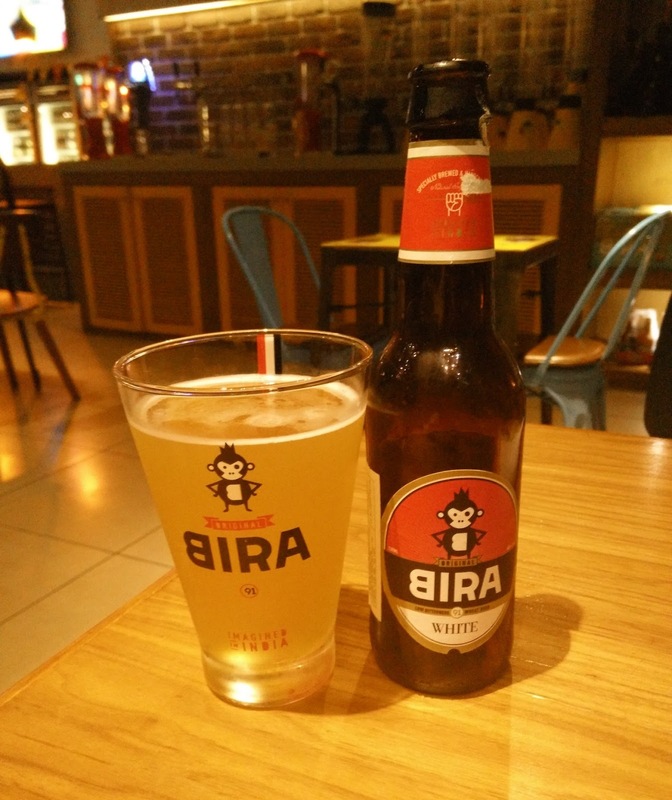 The Bira Blonde is a craft lager from Belgium. Made with the choicest two-row barley, extra malty and high hopped with delicate aroma and bitter hops, this flavorful lager is equally at home on a master chef's table an on a casual evening out with friends. 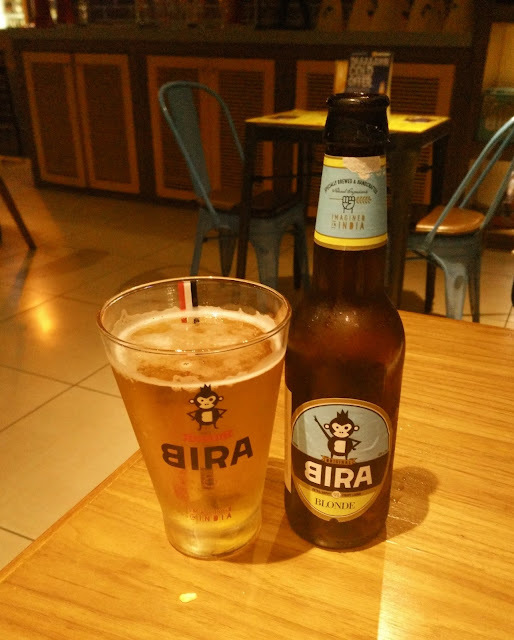 Next up was the Bira White, a wheat beer with low bitterness and a hint of spicy citrus which makes it a refreshing all day craft beer. The packaging of the brand really caught my eye and so did their glasses. 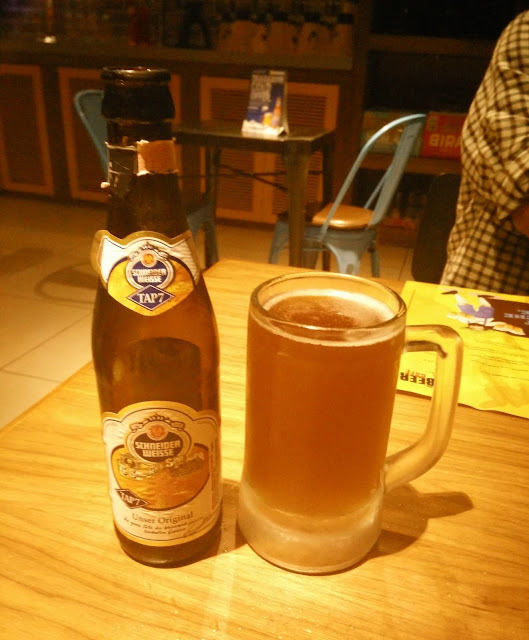 Since, its October fest, we had to try a genuine Bavarian wheat beer so we went for the Schneider Weisse, a full-bodied, sparkling beer with harmonious finish. It is amber-mahogony colored with nuances of ripe bananas, clove, nutmeg and nuts that create the aroma. Goes great with hearty food. 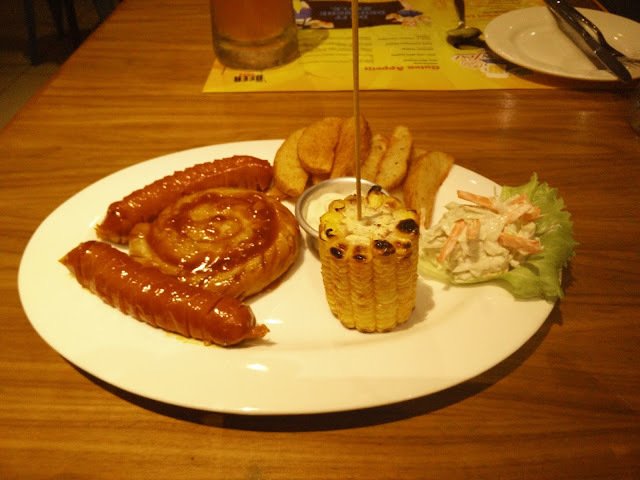 The Oktobrew fest special menu has a variety of sausage platters and we went for the Pork Sausage platter which was nothing short of mind blowing. It came with Garlic Krakauer, German style smoked cheese sausages, curly sausages, coleslaw, roasted corn and potato wedges and all of it was so good, that I can't wait to go back there just for this platter! Must try! If you don't eat pork, there is a chicken sausage platter too, so you can give that one a shot! 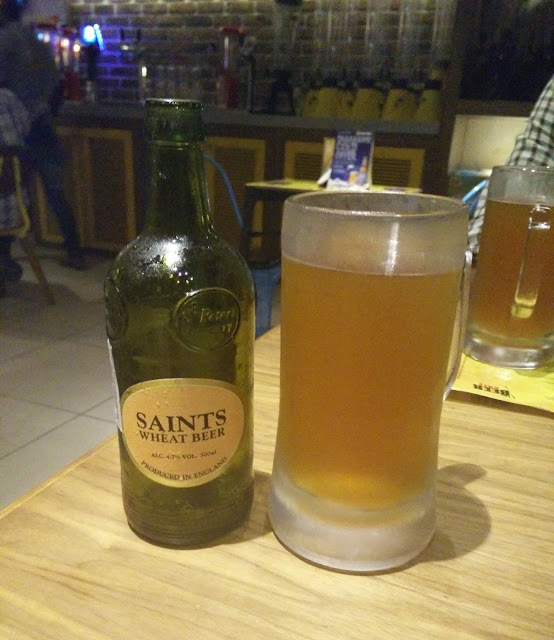 Next up was Saint's Whisky Beer - a balanced beer with 'smokey' overtones from the same peated malt that is used in the production of the English whisky at St. George's Distillery (the first English distillery making malt whisky for over 100 years) St. George's Whisky is added at final fermentation to give a smooth and pleasant beer which is rich in flavor. 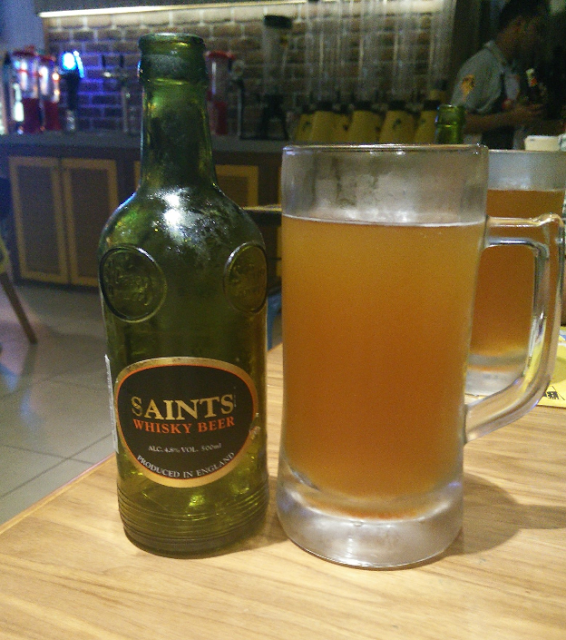 I love strong beers and this one has a distinct alcoholic taste so I absolutely loved it. For those of you who like their beer's light, there's Saint's Wheat, a traditional beer brewed with Hallertau hops and premium wheat grown on farms in the east of England where the brewery is also located. The recipe results in delicious yeasty flavors with tropical aromas. 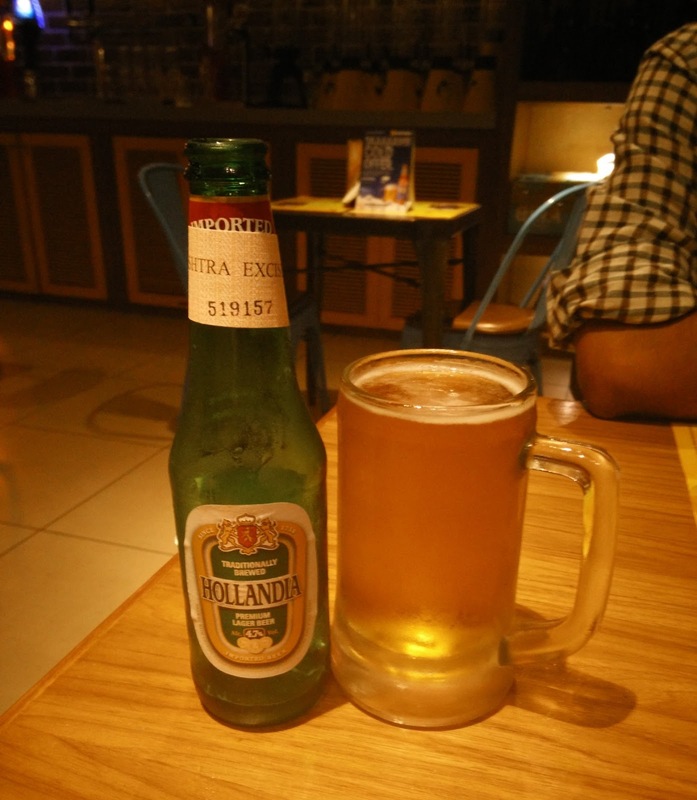 The Hollandia is a pilsner brewed in the traditional style with uncompromising dedication to the highest quality. A pure Dutch beer with 5% alcohol, that tastes great and is very refreshing. 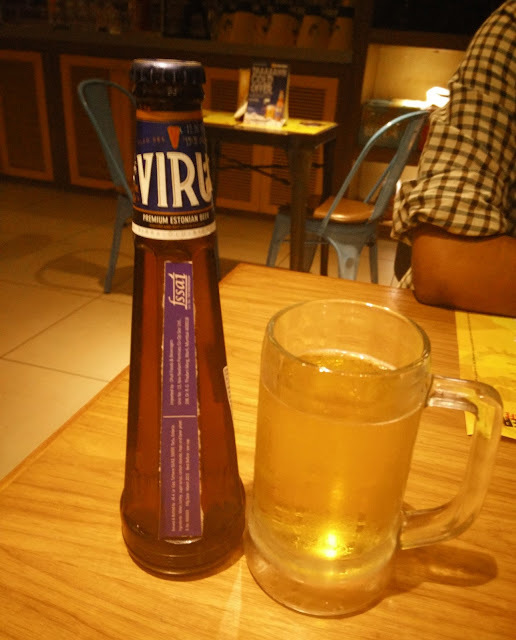 Out of all the beer's they have, Viru catches your eye with its octahedral shape which is inspired by the towers and churches of Tallinn, Estonia's historic capital. The beer is clean and refreshing with a light hoppy flavor and gentle vanilla tones. 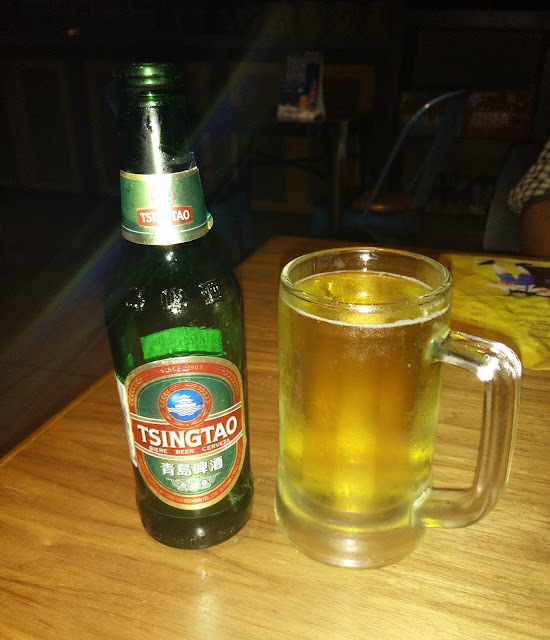 I was also keen to try Tsingtao, a Chinese beer which has a pleasant aroma and a well-balanced taste. Its high-malty flavor and well-hopped character make it a refreshing complement to any Chinese meal. This one's for all you Goa heads! They serve King's too! Its cheerful and spacious decor, wide range of beers and great food combined with great service make Okobrew festival at The Beer Cafe a must visit! I've been recommending it to all my friends and you have just over two weeks for it to go so you must hit The Beer Cafe as soon as you can! I had an amazing time when I last went there (here's the post) and was delighted be back again and try out a variety of crisp and refreshing beers with some very very good grub! They are present in 3 locations in Pune and I visited the one at Koregaon Park! I loved the decor and I loved the name, Oktobrew, so nice! I really enjoyed seeing so many different kinds of beer and the German cuisine! I don't drink beer, but I like the party atmosphere - October seems to be so festive all over the world! I don't love beer, but I do love the name Oktobrew: absolutely awesome! Great post! Hi June, my country is famous for it's beer, glad to see there was Belgian beer available :-)! Much greetings! Such lovely pictures!!!! Fantastic post June! Hope you have a lovely day. I actually don't drink and it should be common sense, but there's SO much variety to beer?! Gosh, I hope you had a wonderful time! Oktoberfest sounds like such a festivity! Now that is a lot of beer. I don't like beer at all, despite being German, but I´d have the sausage platter. Great and interesting post, June. Great pics as well. I am sure you had a lot of fun. I love beer, cool place!!! 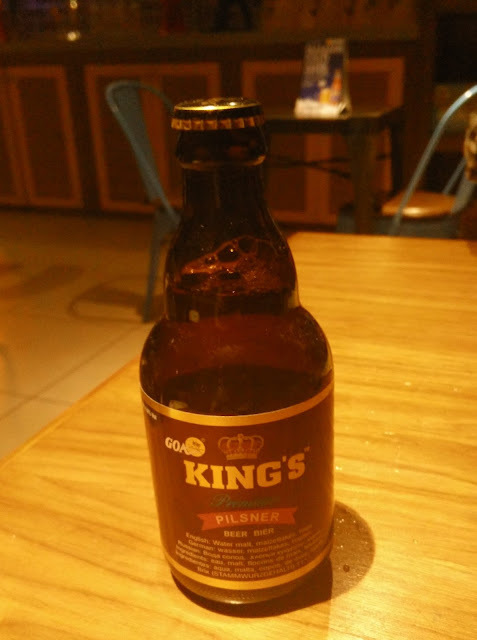 I like beer very much, especially dark beer. Cool place! Wow, such a cool cafe! Cute little spot. I have never been to one of these October beer fest events. Sounds like a lot of fun. Thanks for sharing June.